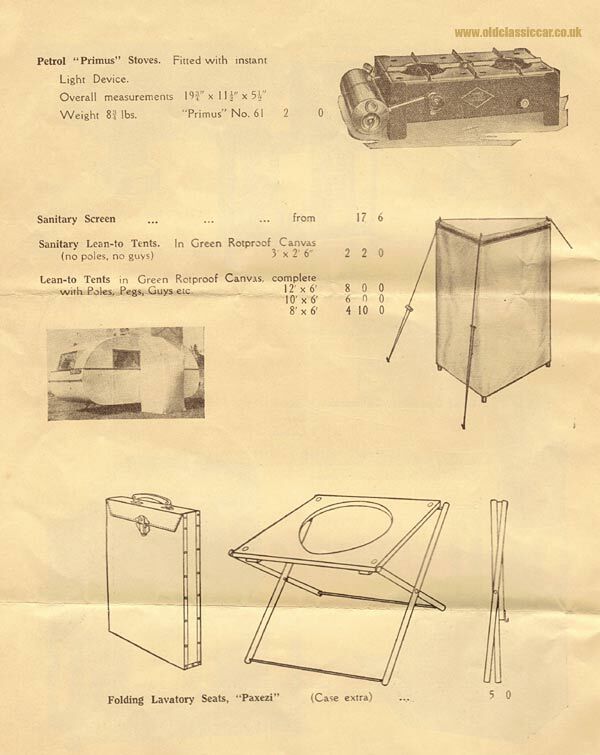 Pre-war Carapart caravan accessories and fittings. Homepage. 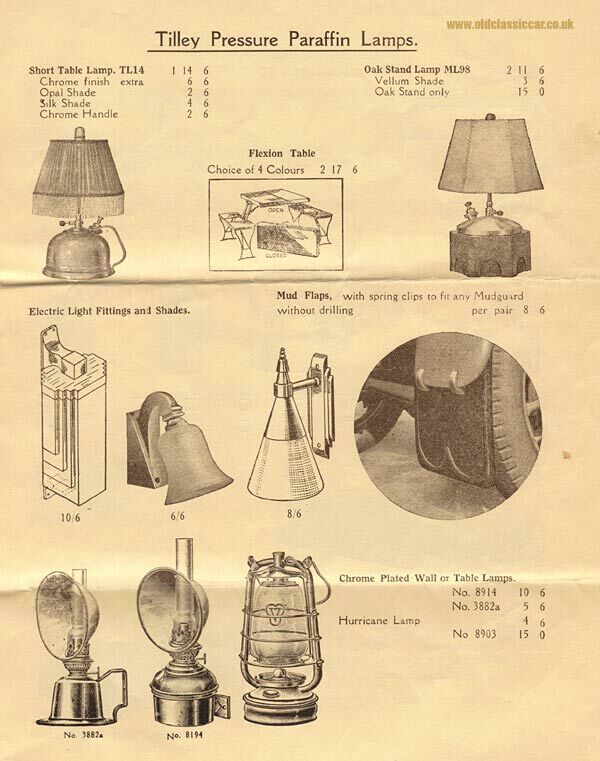 This page: Descriptions and drawings of caravan parts and accessories offered in the 1930s. 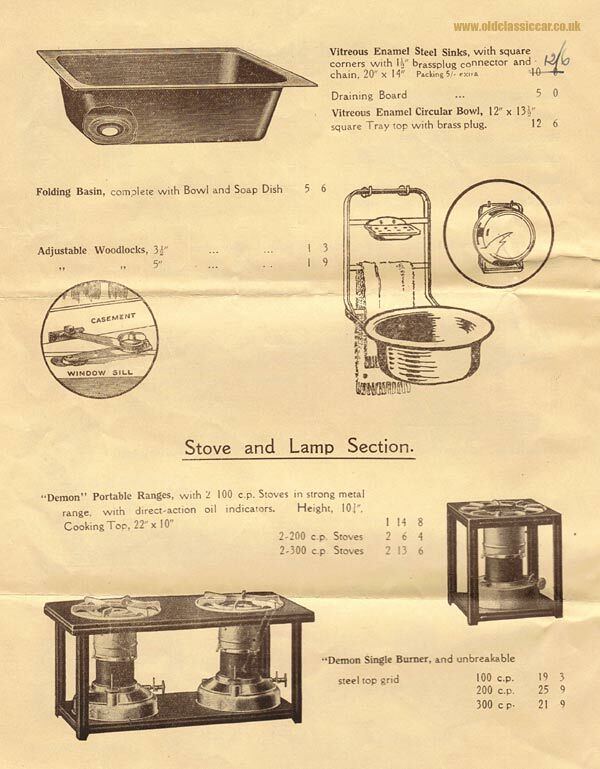 Pre-war caravan parts, fittings and accessories. Nick scanned and sent over these images a little while ago. They were all found in a Carapart Company catalogue dating to 1937. 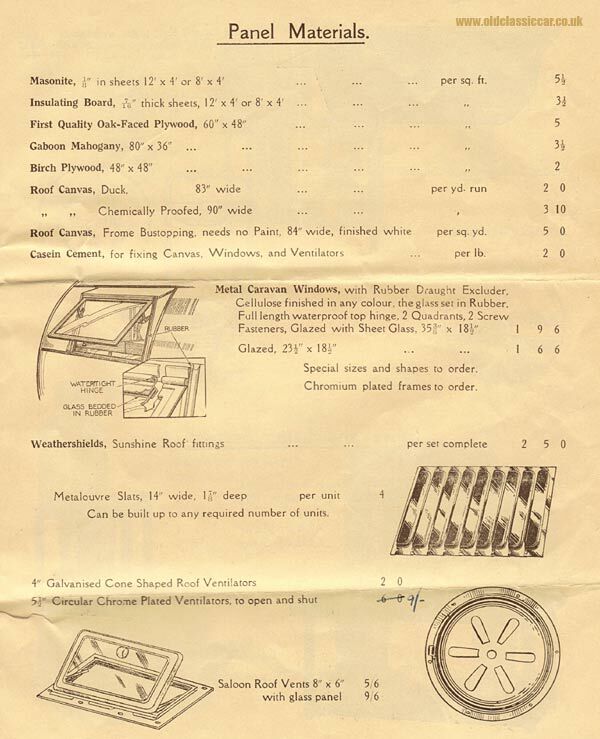 In the 1930s, it wasn't unusual for someone interested in camping to build their own caravan, or camping trailer, and firms such as Carapart could supply all the parts they'd need to build their pre-war caravan. 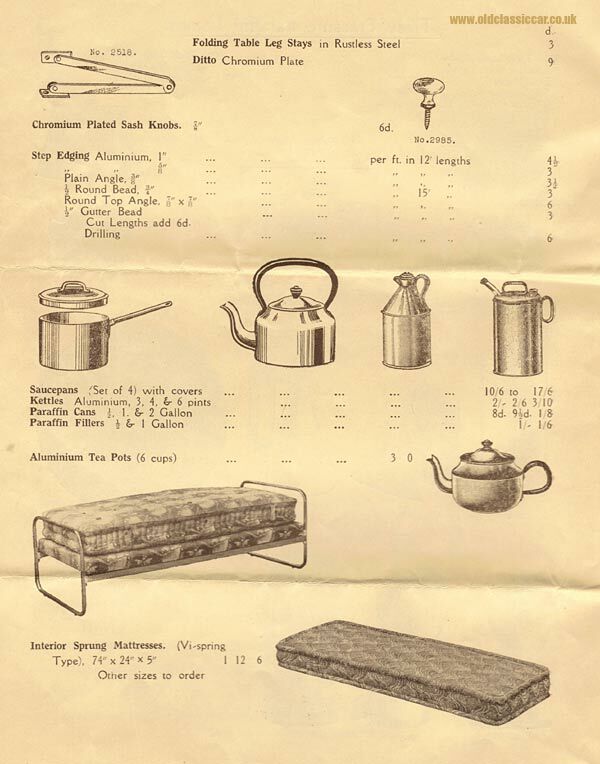 Anyone restoring a vintage or classic caravan today may well find these scans useful for reference, when seeking out the correct fittings and accessories to deck their 'van out with. 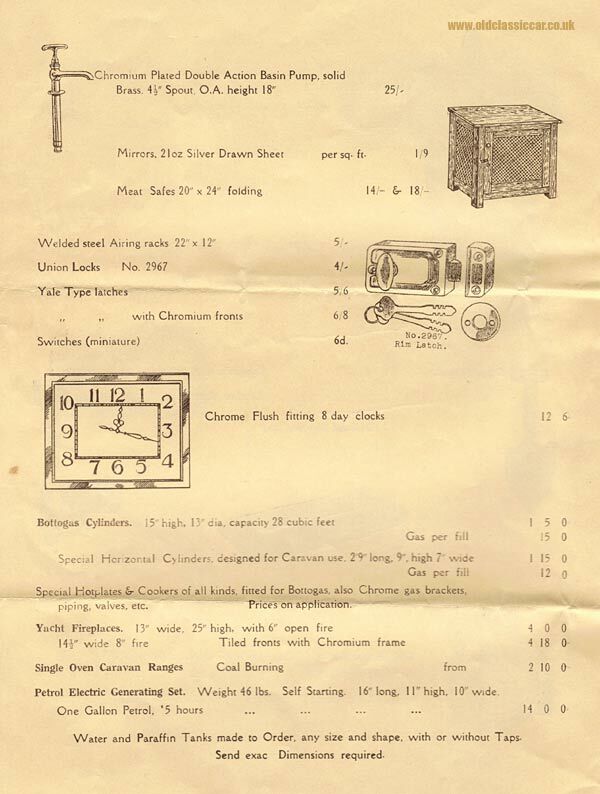 Carapart ran their business from the Ferry Works, Summer Road, Thames Ditton, and posted this catalogue to a prospective purchaser who was interested in buying some jack legs, a ball hitch, and also a new Dinette mattress. Click on any of the thumbnails to see a larger version of that page. A brief description of the parts and accessories described on each page, has been included alongside the relevant thumbnail. 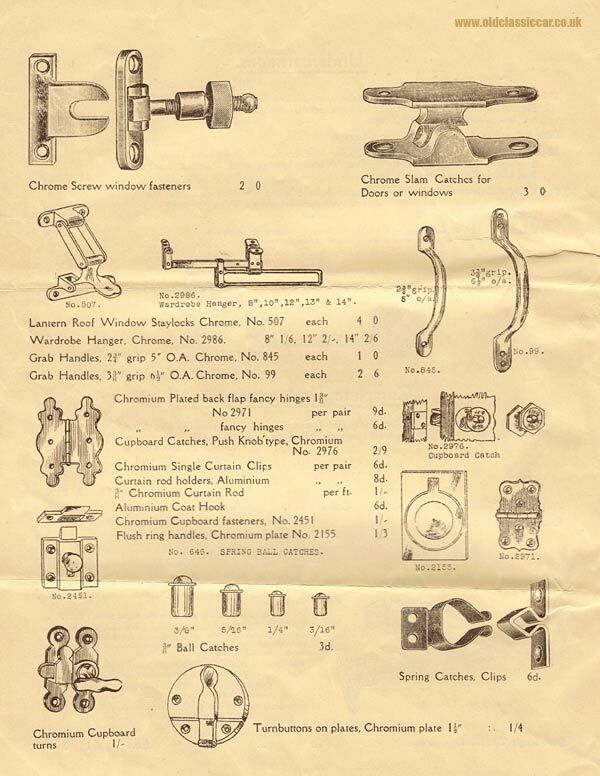 Period fittings to suit pre-war caravans and trailers. 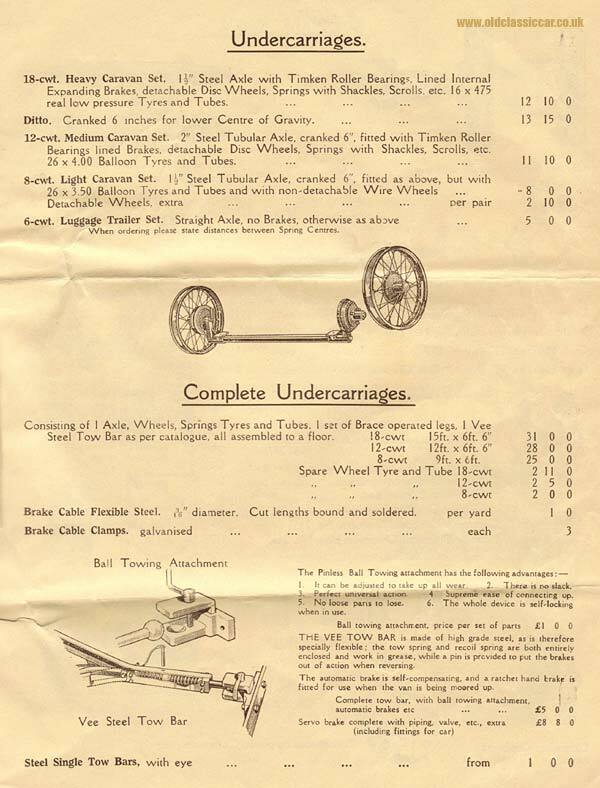 Undercarriages, caravan and trailer axles (light, medium and heavy duty), pinless ball towing attachments, the Vee tow bar, spare wheel & tyre, brake servo & fittings for the car. Chrome window catches, wardrobe hangers, lantern roof staylocks, grab handles, hinges, cupboard knobs, catches and clips. Panel materials, including Masonite, insulating board, oak-faced plywood, Gaboon mahogany, birch plywood, roof canvas (duck), Casein cement, metal caravan windows (finished in cellulose c/w rubber draught excluders), louvred slats, galvanised and chrome roof ventilators. Enamel sinks, bowls, folding basin, "Demon" portable ranges (stoves). Valor stoves, two burner stove with oven, galvanised water containers, galvanised ovens. Petrol "Primus" stoves, lean-to tents, sanitary screen and tent, "Paxezi" folding lavatory seats. 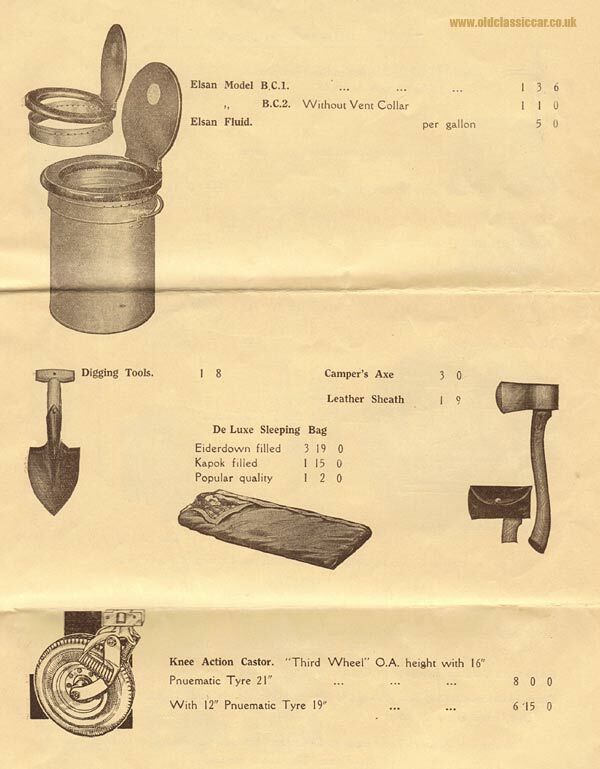 Elsa chemical caravan toilets, digging tools, camper's axe, sleeping bag, "Third wheel" knee action castor. Chomium plated basin pump, mirrors, meat safes, airing racks, locks, switches, 8-day clocks, Bottogas cylinders, yacht fireplaces, coal-burning ranges, petrol-electric generators. 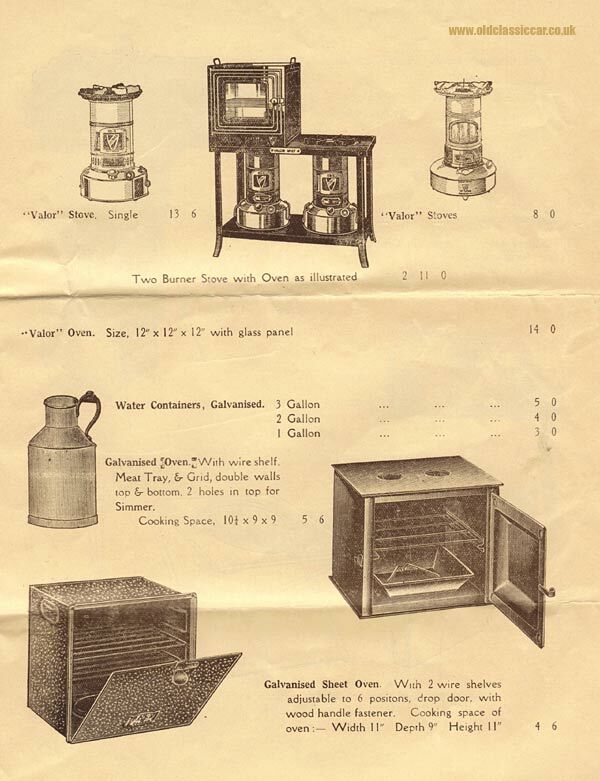 Tilley paraffin lamps, table lamps, Flexion tables, lamp shades, mud flaps, wall, table and Hurricane lamps. Folding table legs, step edging, saucepans, kettles, paraffin cans, tea pots, sprung mattresses. 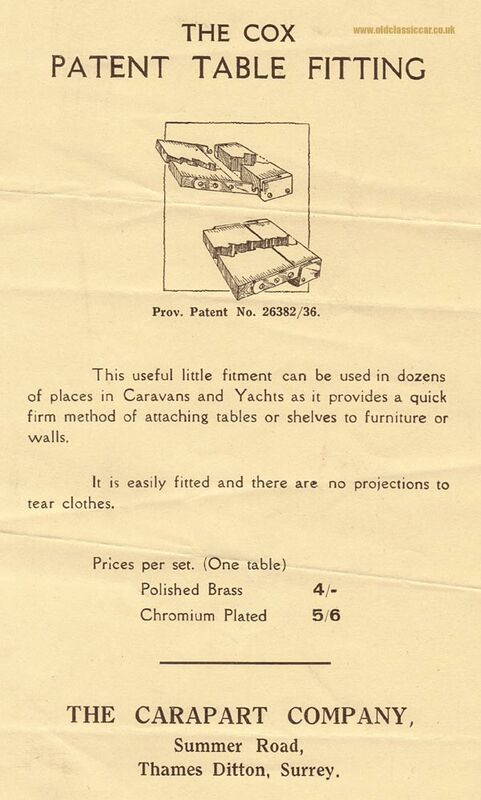 The Cox Patent Table Fitting - brass or chrome. Click to return to the vintage & classic caravan page.